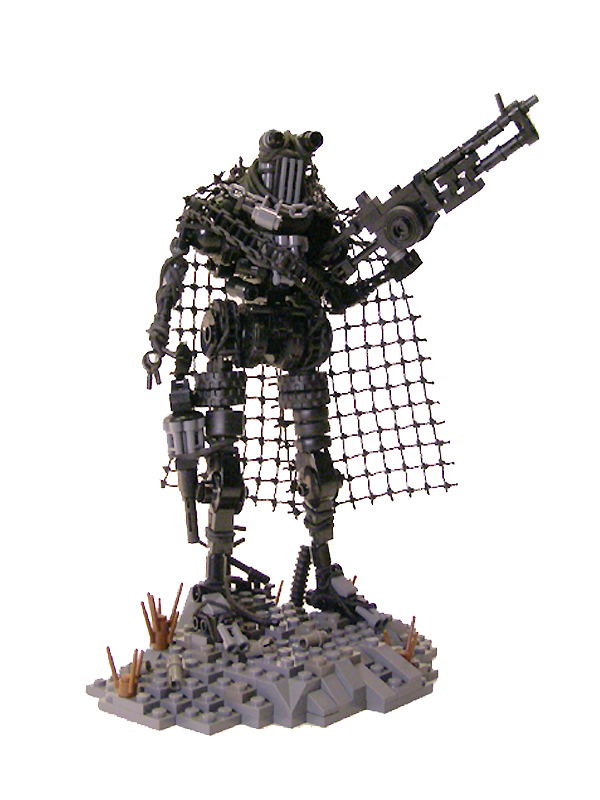 Tyler Clites (Legohaulic) has made an extremely realistic looking post-apoc combat robot, which from a glance looks nothing like a brick-built LEGO model. But don’t feel bad if you got fooled like I did, it’s the Legohaulic we’re talking about. It’s the ULTIMATE GARBAGE machine! This is really impressive. He almost has a wild west stance about him ready to draw a six-shooter – it’s that right hand. Sharp! Dude, I totally missed the six-shooter the first time… That makes it even better! @Dace: Technically, it’s an eight-shooter. :-P But you’re right, it does make it a ton better.